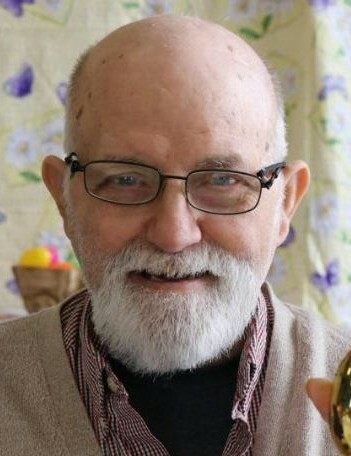 William "Bill" Lee, 76, of Deshler, Ohio passed away Saturday morning, March 23, 2019 at Northcrest Nursing Home, Napoleon, Ohio. He was born May 16, 1942 in McComb, Ohio to the late Alson John "Abe" and Vera (Nolan) Lee. Bill worked various jobs over the years including the former Deshler Mail Box factory, Koppenhofer Bros. Poultry; Campbell Soup Company; Deshler Post Office and lastly at the former Bishop's Locker in Hamler. Bill was a member of Immaculate Conception Catholic Church, Deshler and the Prop Flopper's Flying Club of Defiance. Bill spent a lot of time enjoying building and flying model airplanes and he always seem to have the latest and greatest electrical gadget or machine. He was at all the family get-togethers and was a very loved son, brother and uncle. He is survived by his sister, Karen (Thomas) Keller, Defiance; brother, Theodore "Ted" (Jane) Lee, Ada, Ohio; nieces and nephews, Tim (Connie) Parsons; Cheryl (Ron) Marckel; Doug (Cecilia) Parsons; Julie (Scott) Appelhans; Kristi Parsons; Brian Lee; Jeff (Sheila) Lee; and many great nieces and nephews. He was also preceded in death by a brother-in-law, Gerald "Pete" Parsons and nephew, Tony Parsons. A funeral mass will be held at 10:30 a.m. on Wednesday at Immaculate Conception Catholic Church, Deshler with Fr. Art Niewiadomski officiating. Visitation will be 4-8 p.m. on Tuesday at Feehan-Rodenberger Funeral Home, Deshler.